Camp out wild under the stars. A safari for those wanting to really experience the African bush. Sleep in unfenced camps, stalk animals on foot and explore the Kruger Park. Evenings in the wild camps are spent around the campfire listening to the night sounds including the roar of lions and wooping of hyenas. Days are spent exploring the bush on foot and getting an intimate knowledge of the bush. 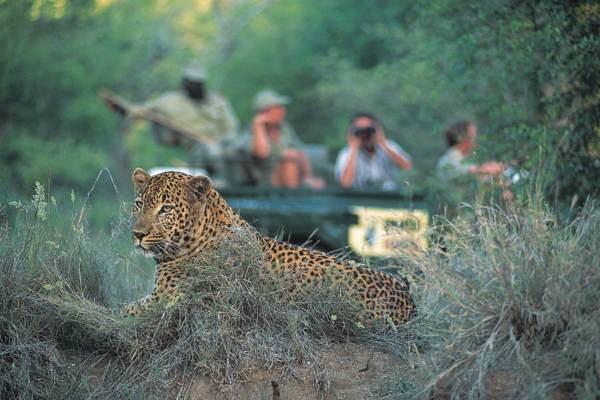 A full day game driving in the Kruger Park provides an opportunity to experience this world famous wildlife reserve. This exciting walking safari starts in Johannesburg. We collect you from your accommodation or the airport and travel via the Drakensberg escarpment to the Greater Kruger Park area. We board an open game viewing vehicle and head out for a sunset drive and get to see our first African wildlife. After dark, spotlights are used to spot nocturnal animals. We then head to our unfenced campsite and settle in with an amazing traditional South African “braai” – barbeque. It is an incredible experience to sleep out in the bush, listening to the night sounds – including the roar of lions and the haunting calls of hyenas. The first part of this walking safari is based in Balule Game Reserve, which is part of the Greater Kruger Park and home to the Big 5. This morning starts with early coffee, followed by our first bush hike - a 2 hour walk before heading back for brunch. Early morning game walks are fantastic, as the bush is cool and fresh and the animals are on the move. After breakfast we game drive to the Olifants River, where we enjoy another 3 hour walk. Wildlife sightings are generally very good along the banks of the river as animals come down to drink. After a morning of walking in the bush, we head off to a new campsite located in a different part of the Greater Kruger. Our bush camp is also unfenced and located in Big 5 terrain. We take time for lunch and a welcome siesta. In the afternoon we will go on an afternoon walk, finishing off the day with dinner and sleep under the stars. We head to the lodge for breakfast before heading out for a full day of wildlife viewing in the Kruger Park. . The open game vehicles allow for excellent viewing and photographic opportunities. 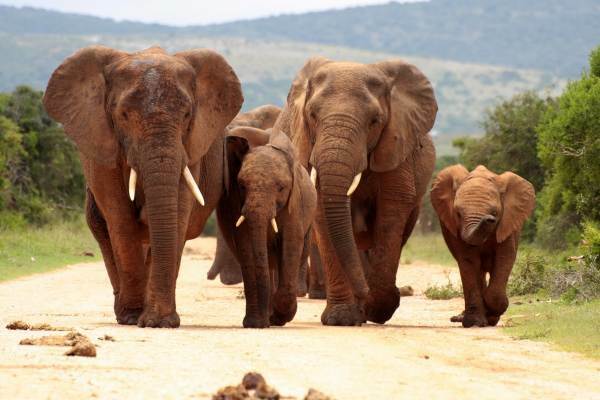 Your experienced guide will locate and spot the various animals. The area of the Kruger Park which we explore has a concentration of giraffe, zebra and antelope that attract numerous lions and other predators. In fact the zones we visit have the highest concentration of lions in Africa! We do have a stop for lunch and to relax in the midday heat. Lunch is at your own expense. We return to camp where we enjoy dinner and spend our last evening under the stars. Early morning we do our final game walk along the Klaserie River. After breakfast we head back to the hustle and bustle of Johannesburg. En route we stop at the scenic Blyde River to view the “Three Rondawels”. Expect to arrive back in Johannesburg at approximately 5pm.